The CW’s Charmed reboot is scheduled to debut this fall with an all-new trio of actresses—Madeline Mantock, Melonie Diaz, and Sarah Jeffery—harnessing the Power Of Three. Jane The Virgin’s Jennie Snyder Urman is behind this reimagining of Constance M. Burge’s popular WB series, which has already received some thoughtful criticism from Holly Marie Combs and Shannen Doherty, and eventually, Rose McGowan’s blessing (Alyssa Milano just seems nostalgic). 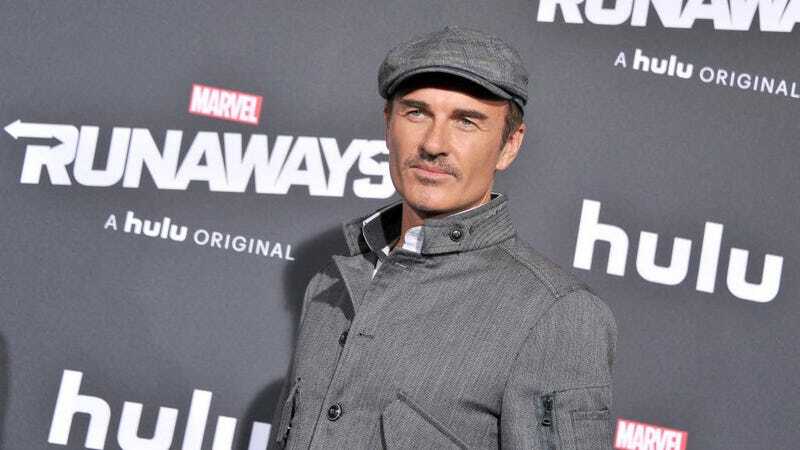 As Phoebe’s devilish ex-husband, Julian McMahon had a recurring role on the original series, as well as great chemistry with its leads. Now he’s trying to take over the world on Marvel’s Runaways, the set of which The A.V. Club visited this week as part of the Television Critics Association summer press tour. When we asked for his thoughts on the reboot, which has a more inclusive cast, McMahon admitted he hadn’t heard about it. “I didn’t really know what was happening, just because I’ve had my head in the sand a little bit,” McMahon said, motioning to the top-secret lair and [REDACTED] around us. It sounds like it’ll be great. The original incarnation was pretty fantastic, and I was really, really proud to be a part of it. And you know, I wouldn’t change that for the world. If they’re rebooting something like that—it had such an enormous audience to begin with, so I can see how, if you did it the right way, you could tap into that again. There’s an equally large audience tap into now. I love the girls, I loved my character. So if they can create something that people enjoy as much as they did then, then hats off to them. Charmed redux premieres October 14 on The CW.